View More In Italian Seasoning. 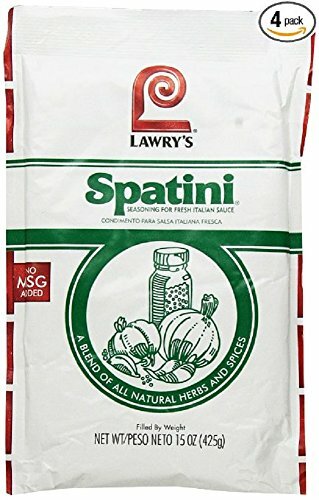 Spatini Spaghetti Sauce and Seasoning Mix is a blend of all natural herbs and spices. It has no added MSG. All Natural. Use Spatini with any kind of tomatoes, fresh or canned, to make homemade spaghetti sauce in minutes. This package is a foodservice bulk package.